Pineapples are soooo in right now. But weren't they always?! 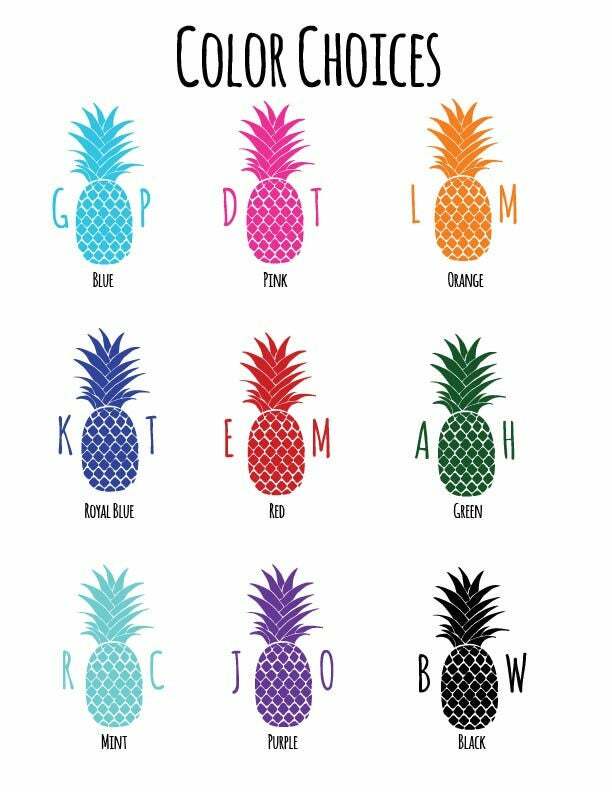 These pineapple monogram note cards can be customized with different colors. Please leave monogram details in "notes to seller" and we will send you a proof for approval within 1-2 business days. These cards are printed on quality heavy-weight paper. 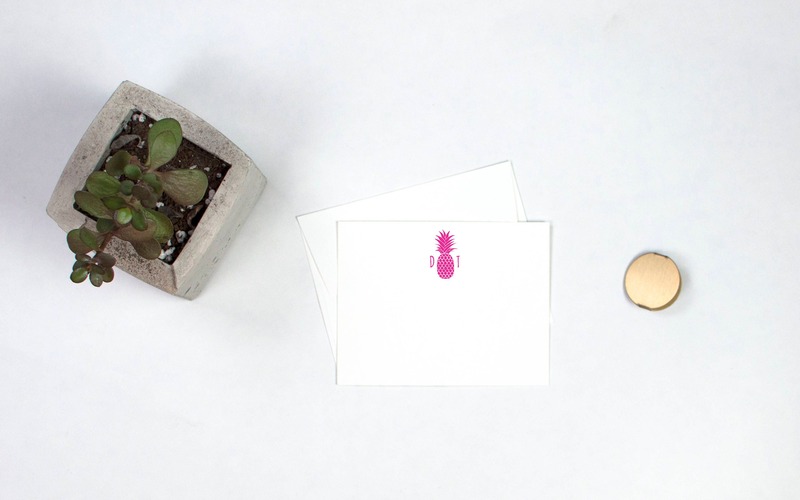 Each flat note card measures 4.25" x 5.5" and includes envelopes.